Did you know that keeping your cellphone charged may sometimes save your life? 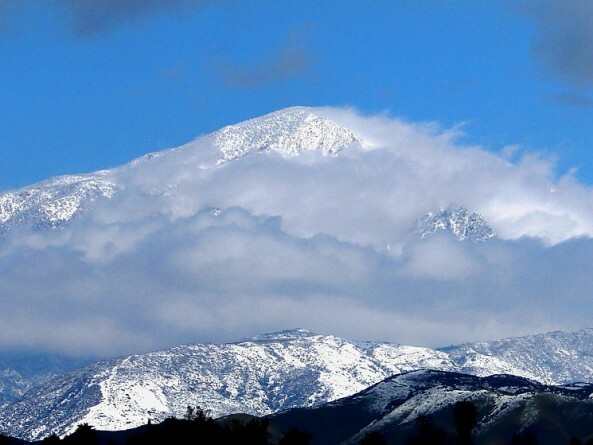 A Southern California woman spent a night in the freezing San Bernardino Mountains without shoes. Luckily she was rescued "conscious and coherent" after Los Angeles Sheriff's Department sent its Antelope Valley Search and Rescue Team to look for her. It appears a 51-year-old mother went to a resort near Wrightwood to look for someone on Saturday, said sheriff's Lt. Ken Wright. Her son, from Phelan, north-east to LA , called sheriff's deputies to report that his mom was in distress. After one of the last text messages that she was lost walking in the snowy mountains without shoes he drove to the resort and found his mother’s vehicle parked in the lot. At 5 a.m. Sunday search-and-rescue team members began arriving. They discovered tracks in the snow leading away from her vehicle, then found the woman's car keys, a sock, and more tracks but, sadly, bad weather forced the search to be suspended. Even helicopters couldn't fly above the area. Search personnel received help from the United States Air Force in the form of sophisticated cell phone tracking technology. They determined the victim’s cell phone was last active in the Table Mountain Campground area. Search team members then focused on that area and located the victim near the amphitheater. A snow cat from the San Bernardino County Sheriff's Department helped to bring the woman to safety. It's not clear how she lost her shoes.